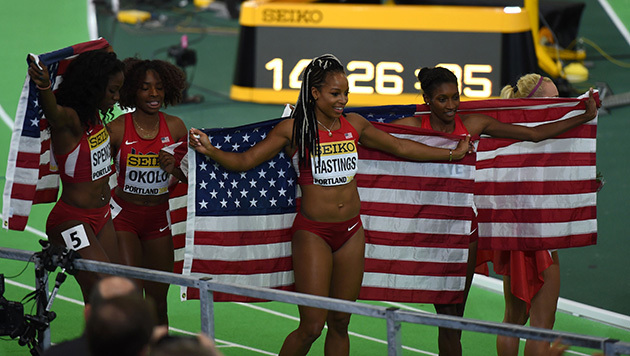 Natasha Hastings shares her go-to workout for the 400 meters ahead of the U.S. Olympic Team Trials in July and the Rio 2016 Olympics in August. 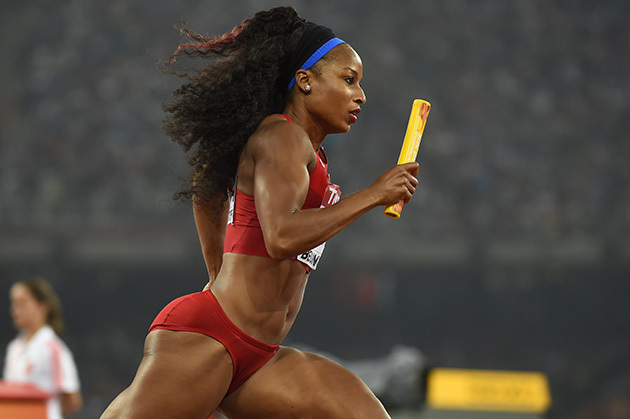 During Olympic and World Championship competition for the U.S., Natasha Hastings may sprint through the 400 meters. But when she trains, she has a different mindset, one that permeates her entire preparation. After that early-morning smoothie, Hastings hits the gym for 60 to 90 minutes and then either heads straight to the track or takes a short break before two or two-and-a-half hours of running, with her work day typically over by 1 p.m., allowing her time for recovery—massage or chiropractor included. The mix of day means a mix of gear for the runner, something she takes in stride. I have three or four pairs of shoes in my bag,” she says. “Being a sprinter, I have different shoes for different things. I’m constantly changing shoes." As an Under Armour sponsored athlete, Hastings lifts in a trainer and then warms up on the track in the brand's shoe that has shock absorption and extra support. When she starts her drills, low-intensity track time or grass workouts she switches to a more lightweight running shoe. For the high-speed track work, that’s when she moves to spikes. Hastings thinks long term with the travel, knowing she can’t overwork herself after a lengthy trip just to risk an injury that impacts the next days, weeks or even months of her career. And while Hastings thinks futuristic with training, that creates a bit of a tricky balance in her mind, as she doesn’t want to dwell on future meets—and the stress it brings. That’s the workout, but the mental side has evolved too. Ever since age 15 when she was told she would never make an American team, she has thrived on proving people wrong—and has made the U.S. squad every year since. That overarching goal sets the standard for everything. But while she flourishes on the thrill of making goals and achieving them—including reveling in the underdog role and proving others wrong—her experience has also helped her deal with going just as hard when specific goals aren’t reached.